ensuring it doesn’t get too busy and wines on show at between £3-7 a glass? Especially when I tell you that the £7 one was vintage champagne…. repeat that as it’s a rare day when I admit to it but – I. Was. Wrong. is such as a shame as it is frankly awesome! St-Hilaire. Move over Dom Perignon! This wine is named 1531 after the year in which it is believed that the hallowed second fermentation was discovered and corks began to pop. it completely wrong and had it pegged as Champagne. 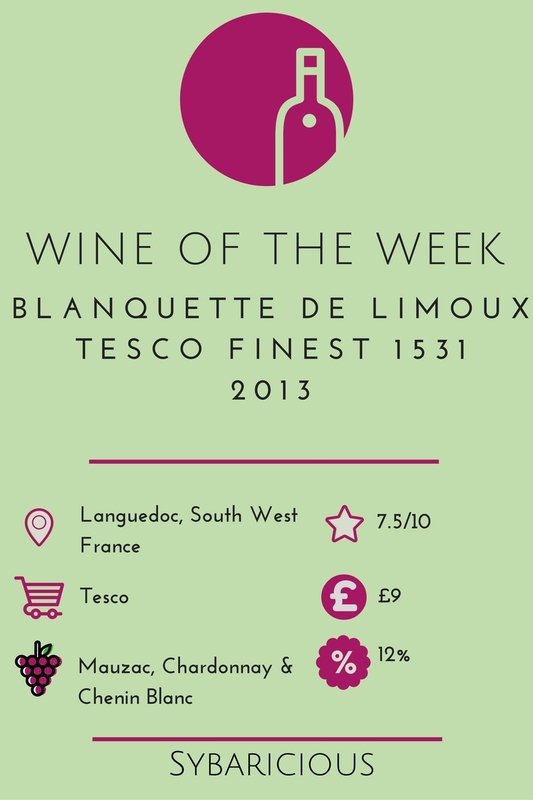 Based primarily on the Mauzac grape, as is compulsory for the AOC, it has a lively acidity and citrus fruit backdrop. This zing is tempered by a creamy, biscuity flavour from its traditional method production. The very faintest hint of oak from the Chardonnay adds body and complexity to the wine whilst Chenin Blanc brings some cooked apple. Bubbles are small and well dispersed and the fizz lasted a good deal longer than the Prosecco also in the flight. It drinks very smoothly and feels very balanced on the palate. Critically, it is less than £10. There are few sparkling wines in the UK that are arguably of Champagne standard for that price. It’s the sort of price that makes midweek bubbles a very real and affordable prospect. Granted it is not up to vintage champagne standards but you’d have to be a really opportunistic idiot to expect that for under a tenner. You can get your hands on some here. Rieslings are also worth a punt. them even more of a bargain. Cheers….